Conferences Series LLC Ltd invites all the participants from all over the world to attend “4th European Otolaryngology-ENT Surgery Conference” during August 15-17, 2019, in Rome, Italy which includes keynote presentations, Oral talks, Poster presentations and Exhibitions. ENT 2019 which aims to gather the most elegant societies and industries along with the renowned and honourable persons form top universities across the globe. 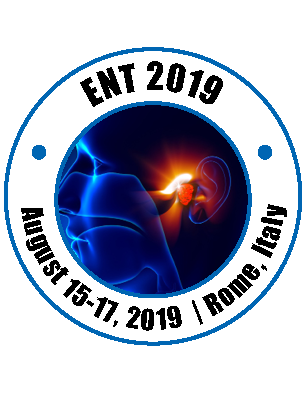 ENT 2019 on behalf of its organizing Committee welcomes all the Otolaryngology researchers, industrialists, doctors, young scientists as well as student and corporate delegates to participate and to have a great experience. 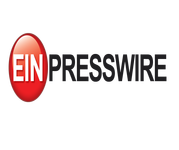 The theme of the conference “Reviving new aspects to explore the Innovative strategies in ENT”. 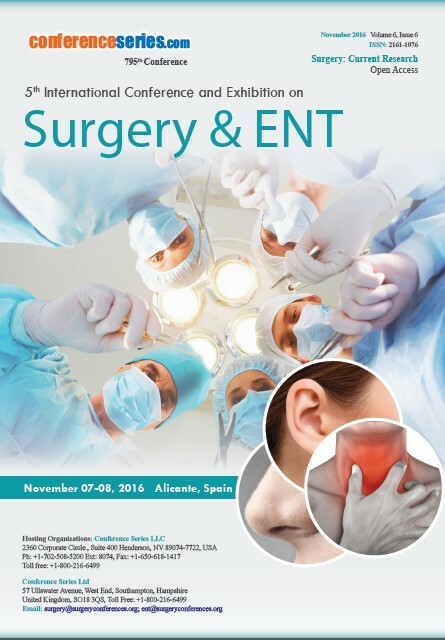 During ENT conferences, the International symposiums, B2B meetings, international workshops will also be organized to discuss the specific topics in the field of Rhinology and Otology. The conference also welcomes International exhibitions from corporate sectors to showcase the recent advancements in tools and techniques. 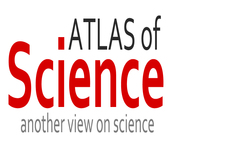 Conferences Series organizes a 1000+ Global Events inclusive of 300+ Conferences, 500+ Upcoming and Previous Symposiums and Workshops in Asia, Europe, USA and Middle East with support from 1000 more scientific societies and publishes 700+ Open access journals which contains over 30000 eminent personalities, reputed scientists as editorial board members. ENT 2019 is an international platform for presenting research about diagnosis, prevention and management and exchanging ideas about it and thus, contributes to the dissemination of knowledge in Rhinology and Otology for the benefit of both the academia and business. The organizing committee of this ENT and Otolaryngology Conference is gearing up for an exciting and informative conference program including plenary lectures, symposia, workshops on a variety of topics, poster presentations and various programs for participants from all over the world. We invite you to join us at the ENT 2019, where you will be sure to have a meaningful experience with scholars from all around the world. All members of the ENT 2019 and Organizing Committee look forward to meeting you in Rome, Italy. Otolaryngology is a clinical subspecialty in medical terms that deals with Illnesses of the ear, nose, and throat (ENT) and related arrangements of the head and neck. Specialists who represent considerable expert around there are called Otorhinolaryngologist, otolaryngologists, ENT specialists or head and neck specialists. Patients look for treatment from an Otorhinolaryngologist for infections of the ear, nose, throat, base of the skull, and for the surgical supervision of diseases and gentle tumours of the head and neck. Physicians trained in the therapeutic and surgical management and treatment of patients with infections and disorders of the ear, nose, throat (ENT), and related structures of the head and neck. 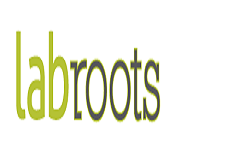 They are commonly stated to as ENT physicians. 4thEuropean Otolaryngology-ENT Surgery Conference, August 15-17, 2019 Rome, Italy | 4th International Conference on Obesity and Bariatric Surgery, March 04-05, 2019 Berlin, Germany | 13th International Conference on Orthopedics, Arthroplasty and Rheumatology, July 25-26, 2019 London, UK | 3rd International Conference on Craniofacial Surgery, August 15-16, 2018 Rome Italy | 4th International Conference on Anesthesia, July 01-02, 2019 Valencia, Spain. Related Societies: The South African Society of Otorhinolaryngology Head and Neck Surgery | The Australian Society of Otolaryngology Head and Neck Surgery | American Academy of Otolaryngology - Head and Neck Surgery | Canadian Society of Otolaryngology , American Laryngological Association | American Society of Pediatric Otolaryngology | North Carolina Society of Otolaryngology. Related Societies: New England Otolaryngological Society | German Society of Oto-Rhino-Laryngology | Asia-Pacific Society of Thyroid Surgery, Association of Otolaryngology Administrators | Association of Medical Doctors of Asia | Association of Academic Departments of Otolaryngology | American Laryngological Association. Sinusitis is an inflammation or swelling of the tissue which is the lining of sinuses. Normally, sinus is filled through air, but when sinuses become blocked and filled with fluid, germs can produce and cause an infection. Conditions which may cause sinus blockage comprise the common cold, allergic rhinitis, nasal polyps, or a deviated septum. In children, common environmental aspects that contribute to sinusitis include allergies, illness from other children at day care or school, pacifiers, bottle drinking while lying on one's back, and smoke in the environment. In this tracks we will come across subjects such as Acute sinusitis, Antimicrobial resistance profiles of ocular and nasal flora, Sinus headaches - Causes and treatment & Pediatric sinusitis. Fungal and Bacterial Rhinosinusitis is caused due to microorganisms affecting the nasal membranes. Irresistible Rhinitis or Rhinosinusitis can be dealt with by inoculations while hypersensitive rhinitis can be dealt with by intranasal corticosteroids and antihistamines. 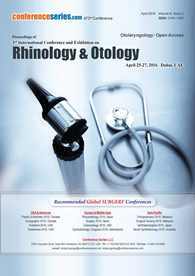 Related Societies: British society of Otolaryngology | Egyptian Rhinology Society | European Rhinologic Society | Nordic Association of Otolaryngology, Oto-Rhino-laryngological Society of Japan | Italian Society of Otorhinolaryngology – Head and Neck Surgery | British Rhinological Society, Labenese society of Otolaryngology. Ototoxicity is the property of being toxic to the ear, specifically the cochlea or auditory nerve and occasionally the vestibular system; it is commonly medication-induced. Deaf blindness is a combination of sight and hearing loss that affects a person’s ability to communicate, to access all types of information, and to get around. Deaf blindness is not just a deaf person who cannot see, or a blind person who cannot catch. The two impairments together increase the belongings of each. People of all ages can have a sight or hearing impairment. It may have remained from birth, or due to deterioration later in life. But most deaf blind individuals have some vision and hearing. According to the American Academy of Audiology, one in three people over the age of 60 experience some sort of age-related hearing loss. In people over the age of 85, this number increases to one in two. Age-related hearing loss is also recognized as presbycusis. Although age-related hearing loss is not a life-threatening disorder, it can have a significant effect on your quality of life if left untreated. 3rd International Conference on Craniofacial Surgery, August 15-16, 2018 Rome Italy | 4th International Conference on Obesity and Bariatric Surgery, March 04-05, 2019 Berlin, Germany | 4thEuropean Otolaryngology-ENT Surgery Conference, August 15-17, 2019 Rome, Italy | 13th International Conference on Orthopedics, Arthroplasty and Rheumatology, July 25-26, 2019 London, UK | 4th International Conference on Anesthesia, July 01-02, 2019 Valencia, Spain. 13th International Conference on Orthopedics, Arthroplasty and Rheumatology, July 25-26, 2019 London, UK | 3rd International Conference on Craniofacial Surgery, August 15-16, 2018 Rome Italy | 4th International Conference on Obesity and Bariatric Surgery, March 04-05, 2019 Berlin, Germany | 4th International Conference on Anesthesia, July 01-02, 2019 Valencia, Spain. Related Societies: New England Otolaryngological Society | German Society of Oto-Rhino-Laryngology | Asia-Pacific Society of Thyroid Surgery | Association of Otolaryngology Administrators | Association of Medical Doctors of Asia | Association of Academic Departments of Otolaryngology | American Laryngological Association. Head, Neck and Oral Oncology encloses all parts of clinical practice, fundamental and translational study on the ethology, pathophysiology, discovery, evaluation, administration, expansion and forecast of patients with head and neck tumours and carotid body tumour. The Head and Neck Surgery track will give the points of interest of cutting edge analytic testing and driving edge medicinal and surgical treatment for the full range of head and neck conditions. Head and Neck disease is emphatically connected with certain natural and way of life hazard factors, including tobacco smoking, liquor utilization, and UV light, specific chemicals consumed as a part of specific work environments, and certain strains of infections, for example, human papillomavirus. These tumours are much of the period potent in their biologic conduct; patients with these kinds of disease are at a higher endangerment of building up another growth in the head and neck territory. Head and neck disease is exceptionally treatable if identified early, for the furthermost part through surgery, yet radiation treatment may similarly assume an imperative part, while chemotherapy is regularly incapable. This track talks about Squamous cell carcinoma, Oral Epidemiology, Head and Neck Surgery, Head and Neck Cancer toxicities, Carotid body tumour and HNS Oncology. Related Societies: New England Otolaryngological Society | German Society of Oto-Rhino-Laryngology | Asia-Pacific Society of Thyroid Surgery | Association of Otolaryngology Administrators | Association of Medical Doctors of Asia | Association of Academic Departments of Otolaryngology | American Laryngological Association. Otolaryngologists estimated that snoring occurs in 3 to 12% of children and up to 59% of adults. Snoring is interrelated to obstructive sleep apnea (OSA). OSA is a serious sleep disorder and it effects shallow or may even stop breathing during sleep. There are many types of sleep apnea, but the foremost affecting apnea is obstructive sleep apnea. The major causes of OSA is excess weight, narrowed air way, Hypertension and chronic nasal congestion. Uvulopalatopharyngoplasty (UPPP) is a kind of ENT surgery which is the most common type of surgery for OSA. An ear disorder is often a bacterial or viral disease that influences the middle of the ear, the air-filled space ahead the Eardrum that contains the modest vibrating bones of the ear. Kids are more probable than grown-ups to get ear contaminations. Ear infections every now and again are difficult in view of aggravation and development of liquids in the centre ear. Since ear infections regularly clear up without anyone else, management may start with overseeing torment and observing the issue. Ear contamination in babies and extreme cases by and large frequently require anti-toxin drugs. Long haul subjects identified with ear diseases — tireless liquids in the centre ear, determined contaminations or continuous contaminations — can cause hearing issues and different genuine intricacies. In this tracks we practice a part of the issue related to ear issue and treatment, for instance, extraordinary outside Otitis, Prechondritis pinna-Cauliflower ear, intrinsic variations from the norm Microtia, Atresia, Otomycosis and Cochlear Implants. Related Societies: The South African Society of Otorhinolaryngology Head and Neck Surgery | The Australian Society of Otolaryngology Head and Neck Surgery | American Academy of Otolaryngology - Head and Neck Surgery | Canadian Society of Otolaryngology | American Laryngological Association | American Society of Pediatric Otolaryngology | North Carolina Society of Otolaryngology. A nosebleed, well-known as epistaxis, is the common form of bleeding from the nose. It is usually seen when the blood drains out through the nostrils. Nosebleeds are most often initiated by local trauma but can also be caused by bacteria, nasal or sinus infections, and sustained inhalation of dry air. Nosebleeds can be dramatic and terrifying. Fortunately, most epistaxis is not severe and can be managed at household, although sometimes medical treatment may be essential. Sometimes in more severe cases, the blood can arise up the nasolacrimal duct and out from the eye. Clotted and fresh blood can also flow down into the stomach and cause nausea and vomiting. Laryngopharyngeal reflux is well-defined as the reflux of gastric content into larynx and pharynx. LPR is a condition that takes place in a person who has gastroesophageal reflux disease (GERD). Acid made in the stomach travels up the oesophagus in this condition. When that stomach acid gets up to the throat, it is named laryngopharyngeal reflux (LPR). LPR is caused by acid present in stomach which foams up into the throat as a result of (Gastroesophageal reflex disease) GERD. Fortunately, most cases do not require medical care. They can be managed with variation in their lifestyle. People who have certain dietary habits, people who regularly wear tighter fitting or binding clothing, people who are obese, and people who are overstressed are more to be expected to have laryngopharyngeal reflux. Rehabilitation is a treatment to regain or improve function of body which has been lost or weakened. In ENT rehabilitation focus on Speech & language therapy to help in speaking and (VRT) Vestibular Rehabilitation Therapy focus to progress balance and also to minimise the experience of dizziness, improve patients stability however in motion, increase coordination, reduces falls and anxiety. It is difficult to provide a general outline of the VRT exercises because they are designed individually to and prescribed for each patient. Most of these exercises comprise movements of the head and body to help your brain and to compensate from the inaccurate information they are receiving from their inner ear, and thus regain mechanism over their balance. Numerous patients with conditions of the ear, nose, and throat report a scope of different manifestations and expectations their internist can recommend a cure that will ease their hopelessness and improve them feel rapidly. This session is ideal for the for ENT junior beginners, a general practice 's with a special importance in ENT, nurse practitioners, and medical students which will cover everything about common practice and also late advances and warnings in ENT for a new applied guide for managing everyday ENT conditions. This session delivers a more complete and critical understanding of research practices, especially in the behavioral sciences of Otorhinolaryngology. This proposes dependable direct of research, explore morals, and clinical results. It at that point abridges the discoveries displayed in a portion of the more vital investigations of research conduct, finishes up with general perceptions about needs and suggestions for ventures to enhance the adequacy of endeavors to react to offence and encourage higher gauges for trustworthiness in study and clinical trials. Current Diagnosis & Treatment Otolaryngology spans the complete extent of ENT topics, including the latest developments in simple science, facial plastic surgery, head & neck surgery, laryngology, rhinology, pediatric otolaryngology, otology, and neurotology. 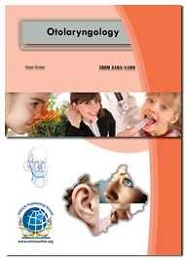 This find-it-now clinician's guide comprises commonly encountered as well as unusual diseases of the head and neck and is essential for board analysis and recertification. ENT devices are equipment used for identification, therapy, or surgical treatment of any disorders associated to the ear, nose, or throat, thereby helping to correct any problems interconnected to hearing, smelling, snoring, or speaking. There are a wide range of ENT devices are offered in the market consisting of endoscopes, hearing screening instruments, mechanical surgical tools, hearing aids, hearing implants, surgical devices which are handheld, balloon dilation devices which are used in sinus, CO2 lasers, image-guided surgery systems, ear tubes, nasal and Otological packing material, and voice prosthesis devices. All these devices are projected for use only by or under the direction of a physician who is well trained and skilled in Technology. Before handling it is very significant to read the directions to understand the contraindications, warnings, and precautions related with these devices. 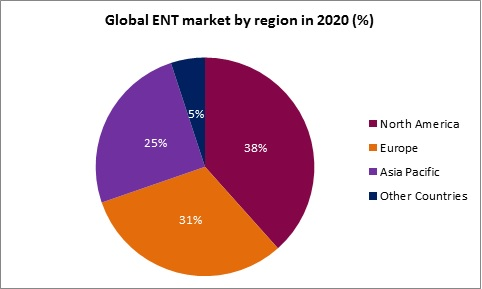 With increase in predominance of ear, nose and throat disorders in geriatric people the demand of ENT devices expected to drive the ENT devices industry rapidly over the upcoming years. 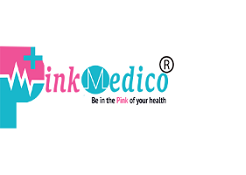 Expanding heights of healthcare awareness among patients and healthcare professionals expected to increase the growth of the market over the forecast period. Presence of sophisticated healthcare infrastructure in the communities, favourable government initiatives led to progress and demand for ENT devices across the under developed countries owed to the extensive research and development targeted at developing technologically advanced products. Otorhinolaryngology is the branch of medicine deals with diagnosis, treatment and other complications related to ears, nose and throat, as well as the head and neck, mouth, sinuses, and larynx. Increasing use of some of the electric systems is partially caused by the growing attractiveness of access control systems which take less time for diagnosis, treatment and fewer damages through the time of surgery with minute pain. Increasing age leads to growth risk for otorhinolaryngology disorders. 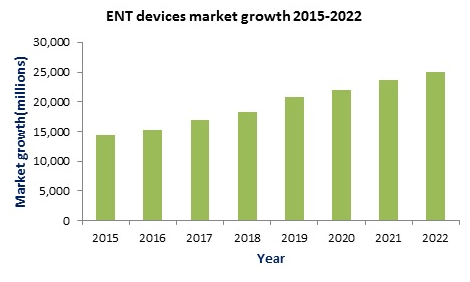 This results in the use of advanced laser and radiofrequency technology through surgical and diagnostic procedures and is predictable to drive ENT devices market size rapidly in coming forecast periods. There are around 90 universities in Italy, of which are majorly public funded. Italy, capital of Rome has adequately of attractions to tempt tourists and international students alike. There are a range of excellent universities in Rome, the Sapienza - Università di with actuality the highest-ranked University in Roma at joint 223rd in the QS World University Rankings 2016-2017, making it Italy’s third highest-ranked university. All large metropolises and cities in Rome have a clinic, specified by the international sign of a white ‘H’ on a blue background. 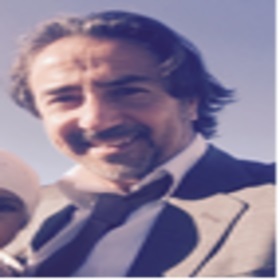 About 48 best ENT clincs with best doctors are in Italy. The city hosts as the headquarters of numerous business companies international wide, such as Eni, Enel, TIM and national and world-wide banks such as Unicredit and BNL. 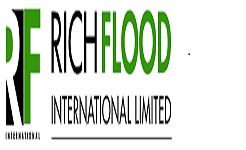 Its business district, called EUR, is the base of numerous companies involved in the oil industry, the pharmaceutical industry and financial facilities. Rome plays a major foremost role in the national economy of Italy. PhysicianEar, nose, and throat (ENT) devices are special equipment used for detection, treatment or surgical procedure of any condition related to the ear, nose or throat. They also refer to artificial materials and prosthetic devices used to restore any dysfunction of the ears, nose and throat or any problems with hearing, smelling or speaking. We would like to thank all of our wonderful keynotes, speakers, conference attendees, students, associations, media partners, exhibitors and guests for making ENT 2018 a successful event. 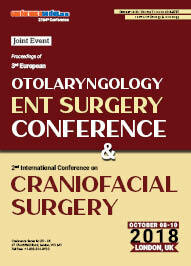 With the overwhelming success of the previous conferences, Conference series hosted the “3rd European Otolaryngology-ENT Surgery Conference” during October 08-10, 2018 at Londont, UK with the theme “Current Research and Therapeutic Techniques in ENT” was a great success, where eminent keynote speakers from various reputed institutions and organizations with their resplendent presence addressed the gathering. Conference Series Ltd offers its heartfelt appreciation to Societies and Organizations includes Allied Academies, ENT Technologies, Placid Way, MD Linx, Randox and is also obliged to the Organizing Committee Members, adepts of field, various outside experts, company representatives and other eminent personalities who interlaced with Conference series in supporting and making the conference never before one. Your rejoinder is our inspiration; keeping this motto in mind and being witnessed the triumph of ENT 2018, Conference Series Ltd is delighted to announce the next event. Mark your calendars for the upcoming extravaganza, "4th European Otolaryngology-ENT Surgery Conference" to be held during August 15-17, 2019 at Rome, Italy.